Strengthen your wellness AND your faith by subscribing to our free Daily Vitamin eDevotional. This goes out 5 days a week and features a short devotional message designed specifically for those seeking greater balance with eating, body image and life management. Featuring weekly webinars, weekly online group meetings, and 24/7 moderated peer-support, our Lasting Freedom program serves women 18+ who are seeking a healthier relationship with food and their bodies. Membership runs in 8-week cycles year-round. Webinar guests include counselors, nutritionists, authors, pastors and other influencers who support a non-diet, Biblically-sound, grace-based approach to eating, wellness, body image, and spiritual growth. 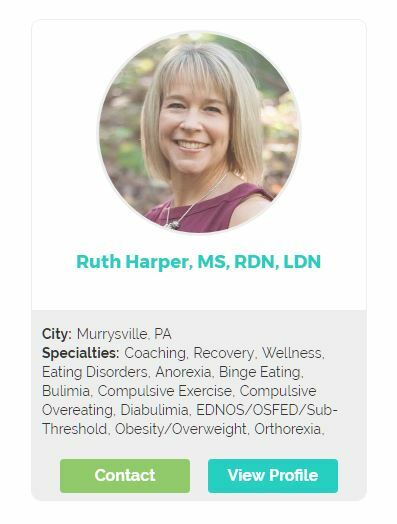 Our Christian Treatment Finder is new and growing resource, designed to help those seeking Christian care for eating disorders find those in their area who are providing it. This tool also provides networking opportunities for Clinicians, Counselors, Nutritionists and Coaches working in the field of eating disorders to find continuing learning and support opportunities. 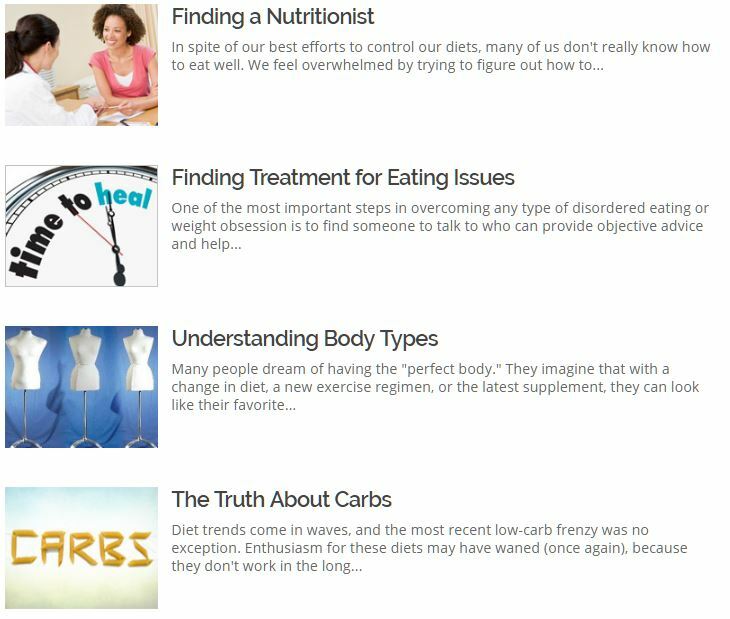 The most robust, curated collection of eating-disorder & nutrition-related videos, articles, books and advice on the web, including selections from our Lasting Freedom Program Series featuring interviews with guest authors, nutritionists, counselors, artists and more. Whether you want to learn about eating disorders, how to eat well in a balanced way, or advice for helping someone find freedom, our handy “search” tool will bring back tons of results to get you started. Hungry for Hope is a one-of-a-kind ministry event for those impacted by eating and body image issues, and those called to serve them. Featuring a unique fusion of clinical teaching, storytelling, worship and the arts, our semi-annual conference has inspired and equipped nearly a thousand counselors, lay leaders, and community members from all walks of life to join the mission of bringing hope and healing to those seeking freedom from food issues. Our 10th Anniversary event was June 22-23 in Franklin, TN. Sign up for our Daily Vitamin eDevo to keep up with this and other events. Our newest program, ChristFED is a brand new small-group tool which we are piloting here in Nashville. We hope to begin training leaders to start ChristFED groups in their own local communities early Spring 2019. If you are interested in being trained to lead a ChristFED group, please use our Contact Form to let us know. 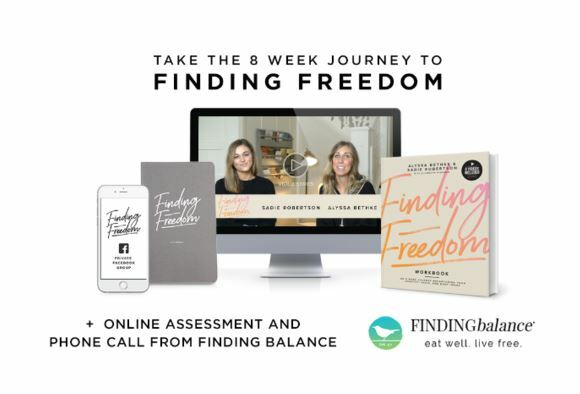 As the leading Christian resource for eating issues since 2002, FINDINGbalance is honored to serve as official ministry partner for Alyssa Bethke and Duck Dynasty’s Sadie Robertson on their new “Finding Freedom” Bible study, including Clinical perspective, practical next steps and community support.